It's as close as I could make it to the original gameboy tetris, because I never liked the modern tetris variants. Hello! 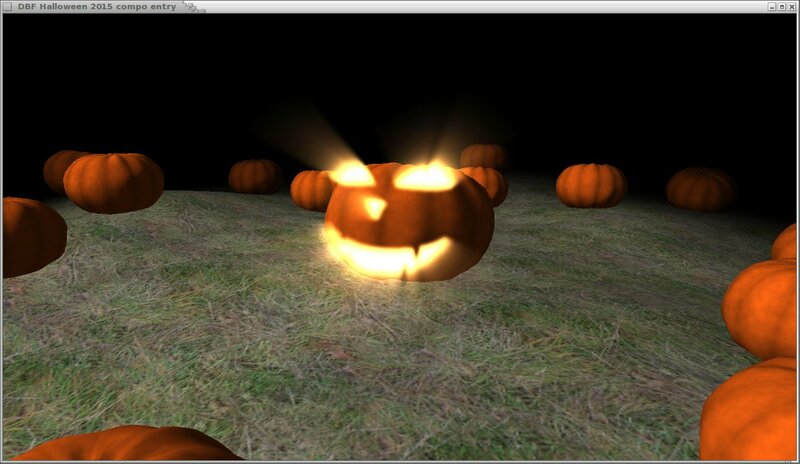 Here's my entry for the halloween compo :) It's just a simple effect with acompanying music. I've only compiled it on GNU/Linux for now, but I'm going to port it to windows asap and post a youtube video later tonight. Consider this a party-version, releasing it now just to catch the deadline. I'll post a proper v1.1 archive after I'm finished with the multiplatform versions, which will include build instructions, dependencies, proper license info etc. Edit: OK! releasing the final version! Let me know if you have any issue running this. I hacked something together for this compo. It's a bunch of metaballs (and metafloor :) rendered with a halftone dithering technique (implemented as a pixel shader). The full source code is included, released under the terms of the GNU GPLv3 (or later), see README and COPYING for details. The code is cross-platform and should work everywhere, linux (32 & 64bit) and windows (32bit) binaries are included in the archives printblobs.tar.gz and printblobs-win32.zip respectively. Apart from the different binaries (and the fact that the windows package contains some dlls), both archives are identical (same source code). 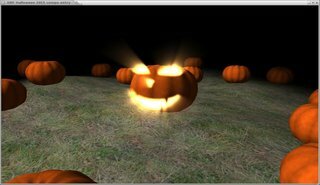 It describes methods of generating multiple sub-pixel sample positions within the area of a pixel, for doing anti-aliasing, and monte-carlo rendering techniques in ray tracers. I've written a few more tutorial-ish articles in the past, I'll post more of them here if there is interest. - Deferred shading for lots of dynamic light sources (notice the specular highlights on the walls from the torches and the separately flickering light sources). The idea is that all effects in the game (spells, magic crystals, fiery monsters, etc) will cast dynamic light. - An idea for layered tile-based dungeons (so base tiles with detail tiles on top, etc). The only thing I didn't like so far is the tile system. Even with detail tiles, the square grid is too restrictive. I'll implement a much more powerful tile-based system idea I had.